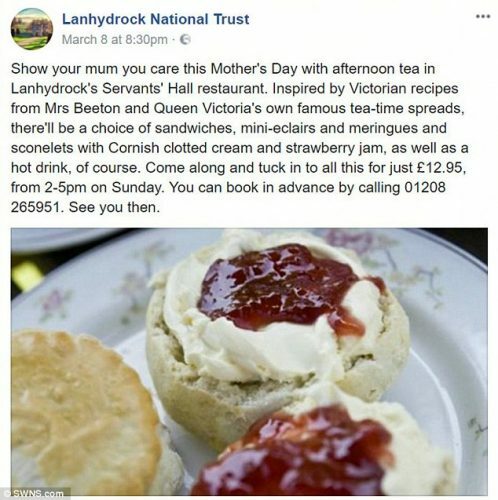 The Lanhydrock National Trust in the UK has gone into damage control after it advertised a Mother’s Day afternoon tea that resulted in furious calls for a boycott. It was Mother’s Day in the UK yesterday and to celebrate the day the National Trust advertised the special treat for mum at Lanhydrock House and Garden in Cornwall complete with “sandwiches, mini-eclairs and meringues and sconelets with Cornish clotted cream and strawberry jam”. 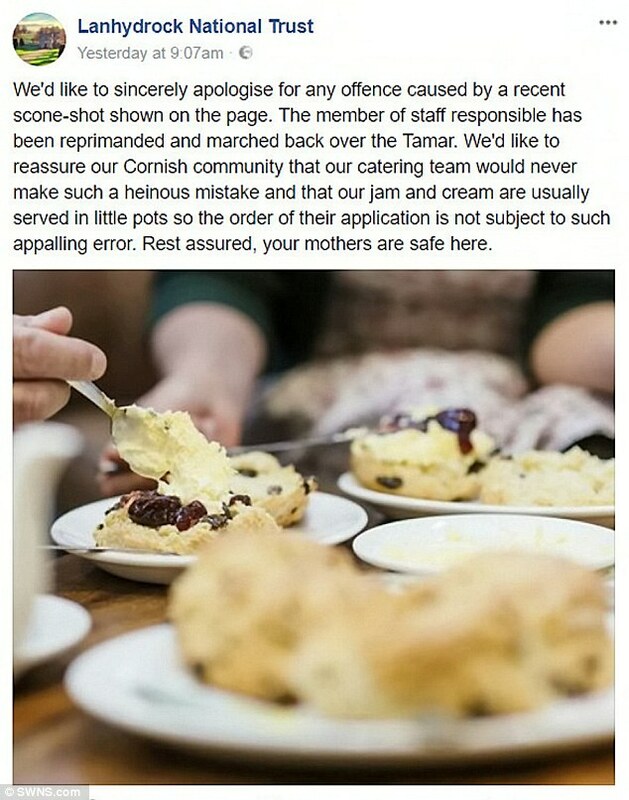 However, the ad featured a photo of a scone with the jam on top of the cream which, apparently, is tantamount to heresy and life imprisonment in the Tower in scone-loving Cornwall. However, some people actually agreed that the cream should come first, while others berated the angry Cornish for getting so worked-up about nothing.